A split photo shows the backup driver behind the wheel of a self-driving Uber car involved in a fatal crash in Arizona. PHOENIX -- Federal investigators say the autonomous Uber SUV that struck and killed an Arizona pedestrian in March spotted the woman about six seconds before hitting her, but didn't stop because emergency braking was disabled. 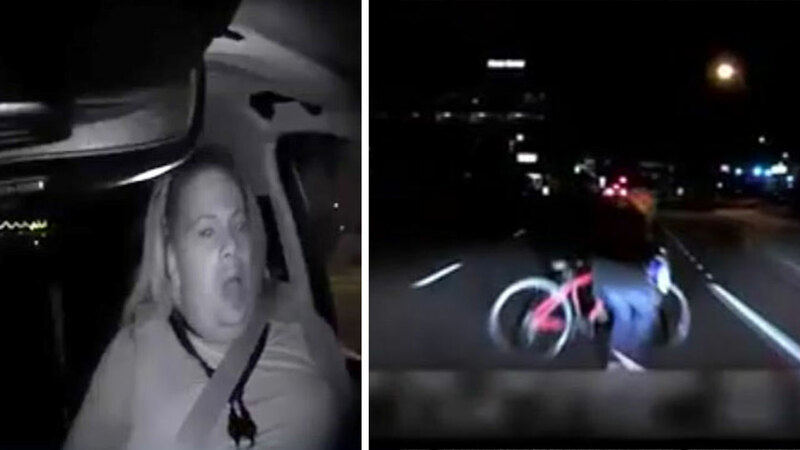 In a preliminary report on the crash, the National Transportation Safety Board said Thursday that emergency braking maneuvers are not enabled while Uber's cars are under computer control, because it reduces the potential for erratic behavior. Instead, Uber relies on a human backup driver to intervene. The system, however, is not designed to alert the driver. In the March crash, the driver began steering less than a second before impact but didn't brake until less than a second after impact. A video of the crash showed the driver looking down just before the woman was hit. Arizona officials took the unexpected step of releasing video from a fatal crash involving a self-driving Uber car that happened earlier in the week.